You are here: Home / News / #NeverTrump Movement is Dying. 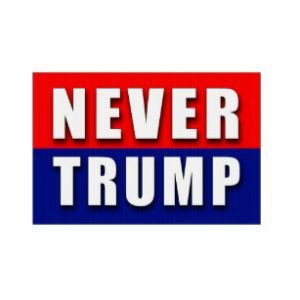 (ThyBlackMan.com) The “#NeverTrump” movement is going through its death throes, sustained only by a dwindling remnant of followers who are too greatly afflicted with Trump Derangement Syndrome to ever recover their senses. It’s a fair characterization. Many of their strongest writers and thinkers have seen the light, admitted they were hung up on personal animosities, and recognized Donald Trump as the incredibly effective conservative, Republican President that he is. Take Erick Erickson, once a leading #NeverTrump-er. According to the President, “a couple weeks ago he called up and he said ‘I’m all in.’” In a column explaining his decision, Erickson argued that President Trump’s record of conservative policy victories on issues ranging from tax cuts to sovereignty to foreign policy is far more important than his personal feelings. The President made a similar case, reiterating his frequent claim that those skeptical conservatives would be singing his praises from the rooftops if they considered his record alone. In addition to cutting taxes and regulations while rebuilding the military, President Trump pointed out that he’s also appointed more than 100 conservative judges, including two Supreme Court Justices. Having lost their last real holdout publication, the once-venerable Weekly Standard, the final remnants of the movement migrated to “The Bulwark” in a misguided attempt to make 2005-era neoconservatism look “cool and edgy” for the kids by spicing it up with a veneer of irrational hatred of the President. It’s not going very well. Bill Kristol’s quixotic plot to prove himself right about Donald Trump’s supposed inability to win the Presidency is actually getting less traffic than the Weekly Standard, which isn’t even publishing anymore. Coincident with the Never Trump movement’s declining media influence is the loss of its support in Congress. Senators Rand Paul, Lindsey Graham, and Mike Lee, for instance, have all become valuable allies to President Trump despite having vociferously opposed him in 2016. The dwindling ranks of the Never Trumpers betray the fundamental problem with their whole revolt against the Republican Party under Trump. It was never about “principles” or “country over party;” it was about distrust of Donald Trump, a New York businessman who didn’t come from the beltway world they inhabit. That distrust was at least understandable during the primary campaign, which is the proper time to debate the merits and drawbacks of candidates. But after more than two years of President Trump leading the most consistently conservative agenda since Ronald Reagan’s, clinging to that skepticism and continuing to undermine the MAGA movement isn’t a matter of principled disagreement, it’s about personal hatred and resentment. On judicial appointments, taxes, the right to life, national defense, and more, Donald Trump has advanced traditional conservative priorities more consistently and more effectively than any president in a generation. Most conservatives who once opposed him have recognized that by now, though there will always be a few (and getting fewer) who remain “almost deranged” by his very existence, as President Trump remarked about ex-Republican George Will. The #NeverTrump movement really is “on mouth-to-mouth resuscitation” these days, but that’s not going to be enough to save it in the end.